Since 2001, ILSI SEA Region has been working in the area of functional foods and claims, including the facilitation of a series of seminars, workshops and expert consultations for regulators, researchers and scientists, and relevant food industry personnel from the Asian region to discuss important and relevant issues on nutrition labeling and claims. These include processes for scientific substantiation for nutrition and health claims, development and status of functional foods in Asia, benefits and effects of functional foods and components on microbiota and gut health as well as cardiovascular diseases. Recognizing the rapid development of functional foods and claims in the SEA Region, ILSI SEA Region has published a new Monograph on Functional Foods. 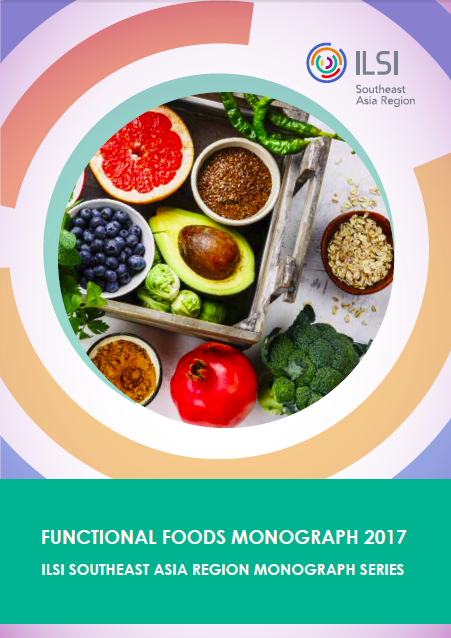 This monograph elaborates ILSI SEA Region’s initiatives on functional foods, provides updates on regulatory developments and scientific substantiation of health claims in the region, and presents case studies on selected functional foods in Southeast Asia.